We are authorized distributor of Alfa Laval products for Indonesia market. Creating the best heat transfer, separation and fluid handling technologies in the world for a 130 years, Alfa Laval's products and solutions are used in such areas as food and water supply, energy, environmental protection and pharmaceuticals. 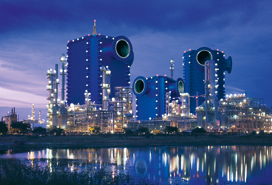 Our key technologies excel in energy-efficient heat exchangers, separators that separates liquids and removes particles from liquids and gases and equipment that safely transports and regulates fluids.